Before devoting himself entirely to his spiritual journey, Edward Salim Michael was a composer of symphonic music. So, benefiting from this double illumination as a mystic and a musician, he expounds herein what great symphonic music may offer people and seekers on the path, providing that one knows what to listen to and how to listen..
His teachers of composition were three of the greatest masters of his time, namely, Bertold Goldschmidt (a student of Hindemith), Matyas Seiber (student of Zoltan Kodaly), and above all, Nadia Boulanger (student of Fauré) with whom he studied at the beginning of the ’Fifties’. His symphonic compositions (which he wrote under his first name, Edward) were performed in France as well as in other countries and obtained frequent airplay from Radio France up until the end of the ’Sixties, always being most warmly received by the public. He won several significant prizes, including one for his “Nocturne” for flute and orchestra, awarded in the United States by a jury comprised of such members as Igor Stravinsky, Aaron Copland and other famous composers. Following some powerful mystical experiences, he composed a Mass for choir and orchestra which would be performed several times and receive considerable attention from the musical world. When he went to India, where he spent seven years, Edward Salim Michael finally stopped composing music completely in order to dedicate himself to his spiritual practices. It was upon his return that he started to write his books and teach about the fruits of his insights and spiritual experiences. Before tackling the role that great music can play in life, first, it is necessary to speak about a troubling phenomenon which has swept over modern man, namely, that it has become an obsession for him to look to accumulate the maximum of intellectual knowledge about creation and life, with the consequence that he now only lives within his head, completely cut off from his feelings. Yet, this manner of being proves to be a serious obstacle when it comes to spirituality where feelings and intuition play a predominant role. Although intellect does have its place in existence and, up to certain point, in a spiritual quest too, it is however never the vehicle through which the human being may succeed in truly understanding the enigma of the Source whence he arose. Neither by simple rational reasoning, nor by interminable mental manipulations will man manage to connect with his Primordial Essence; but only by efforts of assiduous concentration and meditation. There is a tendency encountered with Westerners (and even currently with the Indians) to believe that because they know something with their intellect, they must have understood it. Apparently, they do not realize that knowing something through intellect and understanding what one knows intellectually are two things as dissimilar from each other as day and night. Really to understand what one knows confers strength and knowledge which one can never lose. A sincere seeker can find unexpected assistance in great music to manage to sense the importance of feelings in a spiritual process. It is indeed a strange feat that the music of certain great composers manages, in a way which seems even to be miraculous, to uplift the people who listen to it, opening, unbeknownst to them, a door to other dimensions connected with the unfathomable side of their nature. It can act so mysteriously on a receptive listener’s being as to put him somewhere in himself where he never usually finds himself, thus awakening in him the strange feeling of the existence of other dimensions, beyond the tangible, from where these musical creations arose and with which, in a way ordinarily inexplicable, these great composers were in contact at the time of their inspirations, without perhaps having been aware of it. However, in order that the person listening may understand the message that a great composer’s music is seeking to convey to him, he must already have something of this mysterious truth in himself. And the same goes for any authentic spiritual teaching. A man cannot be touched by serious spiritual teaching if he does not already have at least some level of consciousness, being and intelligence, only through which will it be possible for him to sense its crucial importance to him. Amongst the principal existing art forms, music is probably the most important and, obviously, the one most used in life. Indeed, there is not one ceremony or event which is not accompanied by the appropriate music to complement it, whether it be of a religious, theatrical or even a military nature. Music is true magic, capable of conjuring up in the human being everything which is violent, degrading and vulgar (as does pop and rock music), or, on the contrary, awaken in him mysterious feelings which raise him to another level of being. Great music may, on some occasions, make him experience such strange states of sensation that he finds himself moved to tears. At other times, it elates him with such unusual and enigmatic emotions that it plunges him deeply within himself, in such a way as to make him sense quite another world which inhabits him and of whose existence in him he is generally unaware. The art of speech is certainly useful and necessary, and can, under some circumstances, provide mankind with knowledge which would otherwise not be accessible to him. However, depending on the various types of conditioning to which he has been subject, as well as the manner in which he has been brought up, the risk of distorting what has been transmitted to him is not negligible—distortions which often give rise to a diversity of contradictory beliefs resulting in friction and quarrels within the same community or religion. In pictorial art, words do not exist: they have no place in a domain where only the eyes of the one who is looking are involved in receiving the mysterious message that the artist is trying to express. A great artistic work is generally perceived silently by the person who is contemplating it. In front of a cathedral, a sculpture by Michelangelo or a painting by Raphaël, one cannot but be dazzled by the beauty which radiates from it. It is impossible not to sense that the creators of such masterpieces were, even without knowing it, in contact with an enigmatic world which is not within the realm of the visible and whence they were able to draw their astonishing inspirations. As far as music is concerned, (which may sometimes wield such a powerful influence on man’s being that he cannot but be moved by it), it is directly received into the feelings of the person listening. The mouth and eyes remain closed, so to speak, and, as is the case in painting, words lose all meaning when confronted by this mysterious universal truth which, depending on their degree of receptiveness, may be picked up and comprehended by all the peoples of the Earth, whatever their language, culture or religion. The mysterious ecstasy conjured up in the performer by some great composers’ music cannot but affect the listeners too—insofar as their level of being is sufficiently elevated to make them receptive to what such a musical work is attempting to convey to them at these exalted moments. 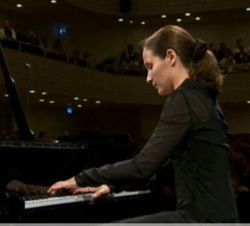 It is important for the aspirant to note that it is precisely feeling which gives a great pianist the ability to play from memory, eminently complex musical works comprising thousands of notes as well as countless changes in harmony, melody lines and rhythm, without making any mistakes. The same principle applies to the seeker: he must realize that it is his feeling which can connect his mind and body in such a way as to enable him to carry out his meditation practices and other spiritual exercises with the required intensity for him to be put in touch with another world within him; a luminous world which he will not be able to avoid recognizing as sacred if he is sensitive enough. One cannot but be amazed by the extraordinary prowess with which an exceptional pianist performs, not only with his memory, but also with his hands, when his feeling, mind and body work as one. The aspirant must always remember that it is feeling, when it is exalted, which has the ability to unite the mind and body. When this union occurs to a high degree and for a sufficiently long period, man can accomplish true marvels. If the seeker succeeds in truly realizing the predominant role that feeling can play in life, he will not allow intellect to occupy him to the point of suffocating his feeling. The types of shows, entertainment and music to which the mass of human beings is generally attracted, are, unfortunately, of such a banal, demeaning—or even harmful— nature, that they only contribute to distancing human beings ever more from the opportunity of achieving states of higher being within themselves. In view of the importance of the role that music plays in life, one must stress once more that it is veritable magic, capable of abasing and degrading the person listening to it, or exalting and elevating him to the luminous regions of his being. Hence, a shrewd aspirant will show himself to be extremely alert as to what he risks believing is harmless, but which may seriously weigh him down and delay his spiritual progress. If he attempts to grasp what happens so enigmatically in his being when he listens to certain symphonic music which conjures up in him a feeling of mystery—such as the monumental work by Gustav Holst entitled “The Planets,” or “The Martyrdom of Saint Sebastian” for choir and orchestra by Claude Debussy, or “La Peri” by Paul Dukas—a refined man, endowed with acute sensitivity, will notice that an inner descent occurs in him, representing a true change of place in his being’s inner space; a change of place which will prove to be a valuable indicator of what he must try to regain during his spiritual practices. Consequently, these great artists help listeners by the feelings of mystery that their music evokes in them, giving them, as previously said, the opportunity to be placed somewhere in their being that they never ordinarily find themselves. In fact, they cause a change of place in the inner space of the person listening to their works without his necessarily noticing what is happening within him. In this way, a great composer’s creations help mankind in a manner it could not imagine. However, it must be emphasized that contemporary man’s intellect has developed to such a dramatic point that it has managed mercilessly to destroy any aesthetic and higher feelings in life. This phenomenon has not spared the various artistic (and even spiritual) spheres of today; it is for this reason that contemporary works of art which are created from an intellectual idea and not from an aesthetic feeling, are nothing but mere degenerate abstractions totally devoid of meaning. By abandoning tonality and the laws of harmony, symphonic music in particular has become a series of ridiculous, cold, dissonant and morbid sounds. The laws of harmony are not based on arbitrary rules, but on study carried out over the centuries into the wavelengths of different notes and their harmonics which ordinarily are inaudible. That is why when music is constructed by combining notes in a grammatically erroneous fashion, it is in the process, without the listener knowing it, of destroying his being while he continues to listen to it. When channeled, man’s attention can become a powerful instrument. It can either harm people when it is employed by someone devoid of scruples, or elevate human beings to the heights of the gods when it is used by a great artist or a saint. It is always man’s attention which is involved in what is happening within him and in everything he does in external life—whether it be for good or bad. Only through his extremely well-developed attention does a great composer manage to produce such prodigious musical works that they uplift listeners to the point of enabling them to experience very unusual feelings which would have been impossible for them to sense otherwise—feelings which belong to a sublime world, inhabited by “Devas” (gods) and their “Gandharvas” (heavenly musicians). Claude Debussy’s masterpiece entitled “The Sea,” comprises a striking example of a composition of extreme musical and orchestral complexity which demands immense efforts of concentration from the performers. Indeed, one wrong entry of an oboe, trumpet, a percussion instrument, etc., would be considered an unforgivable mistake by the listeners. This great genius was actually teaching concentration to all the members of the orchestra, without their even realizing it—sustained concentration which is also required of an aspirant during all his meditation practices. Moreover, throughout the duration of this piece, Debussy is indirectly teaching each of his musicians in the orchestra to use his or her attention in a positive manner—which would otherwise be wasted on futile daydreaming and fantasies not conducive to his inner development. Additionally, this music which a genius created through his attention, will subsequently put the attention of all the members of symphonic orchestras to work, year after year, and even for centuries, without their necessarily being conscious of what is happening within them. So, one can say that, through his attention and great capacity for concentration, a composer such as Beethoven has become, despite himself, a sort of “spiritual master” for all the performers in the orchestra, and even, to a certain extent, for the listeners too ! Can one imagine the long years of work of concentration which are required for a pianist to manage to perform a work such as Beethoven’s Fifth Concerto, or a Brahms’s concerto, which is exceedingly difficult and demands extraordinary technical perfection from him ? Or, can one realize what a great opera singer requires in tenacious practice of concentration, for her to be able to sing, by heart, in front of an extremely censorious audience, an opera by Puccini such as “Madame Butterfly” or “Turandot” ? So, one can understand how much more concentration and, above all, division of attention are necessary for a great composer to succeed in writing a symphonic work (such as the second symphony, “The Resurrection,” by Gustav Mahler) which requires such a large number of varied instrumentalists for its performance and is like the creation of a miniature universe where so many different things occur at the same time ! Hence, one can see that in any great artistic creation, it is always attention which plays the predominant role. Through it, the positive effect of these works never ceases to spread across the world, years after the composer’s death, thus becoming for other men and women embarked upon an artistic or spiritual path, an inspiration and exhortation to master their attention. Furthermore, one cannot but be amazed when one thinks that even a long time after the demise of a great genius (such as Beethoven, Brahms or César Franck), his music never ceases to nurture the feelings and minds of an incalculable number of human beings, exalting them and bringing a little light to their lives; a light which is out of this world and which can gradually open an unexpected door to them leading to another side of their nature, which they carry in their innermost being without ordinarily knowing it. The man of this world, plunged into the darkness of his spiritual ignorance, cannot understand in what sense a great mystic or artist is, in a certain way, sacrificed ! He arrives upon this planet predestined to be sacrificed for mankind, in order to assist it in comprehending the meaning of its existence on this planet. A great musical genius is sometimes condemned to spend his entire life in isolation and misery, without any desire in him other than to busy himself with his creations and, in this way, accomplish an enigmatic destiny which remains incomprehensible to the majority of people living on this Earth. Instead of wasting that precious tool which is his attention on thoughts and activities which are worthless, as do the majority of men and women, the musical genius, driven by a mysterious instinct which escapes the understanding of the masses, constantly fights with himself to concentrate all his strength and his entire attention with the sole aim of giving birth to his creations. Because it is only by the continual sacrifice of himself and everything which could bring him mundane entertaining pleasures that he manages to be sufficiently concentrated and silent within, to hear the mysterious voice which murmurs sublime inspirations into his ears which subsequently will transport his listeners to the world of the gods. It is in this way that not only all of mankind profits from the labor and sacrifice of a great genius, but the latter also benefits because he has used his attention throughout his entire life in the same way as an aspirant attempts so to do during his meditation practices. And even though it is true that the price to be paid is extremely high, it cannot be otherwise in view of the spectacular results for the world when man channels his attention in such a positive direction. 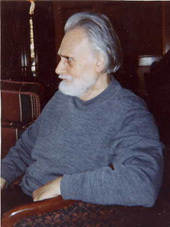 When someone has used the gift of his life in a constructive manner, not only does he leave behind a beneficial mark in the world after his demise, but he also comprises an example for mankind who may thus look to the future with hope, instead of remaining fettered to its self-destructive belief in an impossibly-attainable material happiness. The human being’s attention may be compared to the atmosphere surrounding the Earth, thanks to which alone can one see daylight and the blue of the sky; as we leave the terrestrial atmosphere, there is only darkness. The same goes for man: without his attention, through which alone he may find the light of his Celestial Being, he strays ever more into a state of quasi-dark isolation. The boundless space of the Cosmos is only made up of eternal darkness with points of light scattered here and there coming from different galaxies and stars which occupy it, separated by inconceivably vast distances. The musical genius or great mystic may, in a certain way, be compared with one of these small points of light in the Universe, who looks to shine through the darkness in which mankind is plunged. He is like a solitary lighthouse in an immense ocean of men and women of all races who, like the waves of the sea, are ceaselessly born and die without understanding the true meaning of their existence on this planet. As soon as energy has taken shape in time and space, it immediately falls prey to the implacable law of gravity. And, unless man imparts an ascending direction to his energies, which inevitably requires sustained conscious efforts from him, these energies cannot but obey the law of attraction and gravity and take the path of least resistance, that is, downwards. One cannot avoid observing this phenomenon in all creation, including plants, animals and human beings. 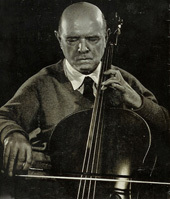 By virtue of his extreme sensitivity, a great music composer intuitively senses the gravity problem which constantly threatens his artistic creations; and without even being aware of it, he is actually continually occupied in the fight against this downward force, while he is absorbed in his creative work. A great symphonic work holds constant surprises as its musical themes, harmonies and rhythms unfold; surprises which never stop acting secretly on the listener’s being, in such a way as to distance him from his mind and help him descend somewhere into himself from where he can start to experience strange feelings that elevate him and which are ordinarily inaccessible to him. In this way, the music to which he is listening not only manages to nurture his feelings, but it also helps him to feel a curious continuity of being, without his realizing how this has come into being within him—a mysterious continuity of being which he does not ordinarily possess. As a great composer is spurred on by an irresistible desire for perfection in his musical creations, every time he feels that this attraction of gravity risks gaining the upper hand in his work, he instinctively gives a new boost to his music, sometimes by the use of unexpected modulations in the harmony, sometimes by a new variation on the opening theme, or by superimposing secondary themes on the main theme, or even by using different and more imposing rhythms. The composer thus prevents the music he is writing from losing its interest and power to keep the listener’s attention. Perhaps this is the reason why men and women who listen to a great musical work (such as “Psyché” by César Franck or his symphony) never tire of wishing to listen to it again so that they can regain this strange continuity of being associated with an enigmatic feeling of an “eternal present” that this music so mysteriously evokes in their being, and which they cannot experience in the agitation of ordinary life. Just like these great artists who, by virtue of their extreme sensitivity, intuitively sense the right moments when they should bring new energy to their musical creations, the aspirant must also learn how to recognize the decisive moments when a new boost should be imparted to his meditation practices, when that downward force which gravity exerts on life is about to gain the upper hand and his concentration starts to weaken. A great composer’s creations always give the impression of a strange continuous spontaneity; and they can only be conjured up within him when he is inhabited by an unusual inner silence; because it is only at the times when the composer manages to descend into himself to be concentrated and create in himself at least a certain degree of silence that it is possible for him to receive his great inspirations. And subsequently, when one listens to his music, something astonishingly new is to be found in each instant. Every genuine mystical or artistic expression belongs to a Universe which is set beyond the spatio-temporal world, because this latter is actually to be found right at the bottom of the ladder of Creation. Compared with another form of consciousness possible for man, to which a high price is attached, his ordinary state of mind proves to be nothing more than darkness. Without the listener being aware of it, a great symphonic work (such as “Thus Spake Zarathustra” or “An Alpine Symphony” by Richard Strauss) keeps on evoking a subtle inner silence in him (the silence that the composer himself knew during its creation) as well as the feeling of a continuous spontaneity which is unceasingly renewed all the while he is listening to this music. And, each time he listens to it again, it mysteriously continues to give him the impression of always being new and spontaneous. Furthermore, because generally the human being only lives at a superficial level, as he becomes absorbed by the music he is involved in listening to, he starts (without even realizing it) to descend into himself and, as previously stated, to find himself placed somewhere in his being where he ordinarily never is. And, as the music continues strangely to support his attention and helps him to remain in this particular state which is unusual for him, the moment finally arrives when he feels such a feeling of exaltation that the past, present and future merge into one single point of his consciousness. In this way, by encouraging him to make this descent into himself, a great composer’s music becomes a sort of wordless spiritual teaching for the listener ! The strength born of the exceptional sincerity that some exceptional composers possess at the time of their creative activity is something that can only be understood and appreciated by the person who has experienced it himself in one form or another. The inspiration and aesthetic feelings which move a genius in his periods of creativity cannot arise within him unless he is in a state of extreme receptivity, making each note he writes, in a certain way, inevitable. In other words, every note of the theme and harmony goes where it should and nowhere else, stirring up in the listener the strange feeling of rediscovering an obvious truth which he seems to know already from some enigmatic source, even though he is actually hearing this music for the first time. Independently of the profound feelings and exalted suggestions that some masterpieces convey (similar to a mysterious wind blowing from a strange and invisible country, and gently whispering a subtle message to mankind), the sort of special tenderness and unusual love that music sometimes communicates to the human soul undoubtedly represents its most important contribution in the field of art. Under no circumstances can this sort of love be compared with the ordinary love one commonly knows, which is always externally directed towards something or someone, and is mainly born of desire; such love is unstable and unpredictable, influenced by external circumstances and the needs of the moment. It changes like the wind and frequently it even turns into its opposite ! The unusual love which emanates from certain musical works subtly speaks to the heart of man in the language of the gods, sometimes even moving him to tears without any apparent reason. It comes to him like a grace showing him the path to his inner self, secretly influencing his feelings and opening his mind to something elevated which he could not have experienced or known in his customary state of being. When looking at this astonishing portrait of Beethoven, it is impossible not to be struck by the eyes of this great genius. A person who really knows how to see and understand cannot fail to sense to what point the strange look of this exceptional man comes from the depths of his being and how much he was, without his having necessarily realized it, connected with another dimension, beyond the visible world, from where he received his extraordinary inspirations. In addition, one feels by the way he is standing, leaning against the piano, that he is what one would call “collected” within himself, or that he is a whole being, or better, an extreme being ! His chin expresses the fierce determination which accompanied him throughout his whole life, thus enabling him not to be overwhelmed by the terrible tragedy of his deafness and to continue, in spite of this curse, to fight to fulfill his destiny. What an inspiration for a seeker on a spiritual path ! THowever, after all that has just been said on the assistance that great music can provide in nurturing the feelings and intuition of the person listening to it, it should nonetheless be specified that under no circumstances can it spare an aspirant the efforts he will certainly have to make if he wishes truly to know his Primordial Being with a direct experience.